Mouser Electronics, Inc., the industry’s leading New Product Introduction (NPI) distributor with the widest selection of semiconductors and electronic components, is now stocking MAX17242/MAX17243 step-down DC-DC converters from Maxim Integrated. These high-efficiency, synchronous converters with integrated MOSFETs help minimize external component count and reduce total cost of solutions for a variety of applications, including power regulation and general-purpose point-of-load designs. 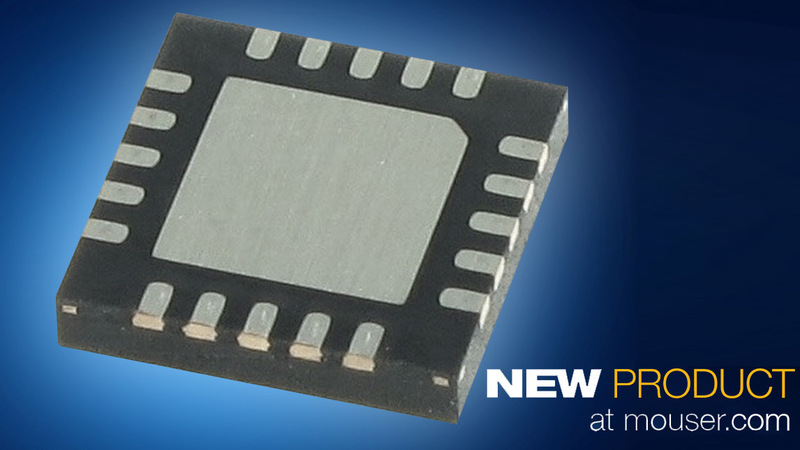 The MAX17242/MAX17243 high-efficiency, synchronous step-down DC-DC converters, available from Mouser Electronics, operate over a wide input voltage range of 3.5V to 36V, delivering up to 2A (MAX17242) and 3A (MAX17243) output current. The converters can operate in drop-out condition by running at 99 percent duty cycle, and generate a fixed output voltage of 3.3V at ±2 percent accuracy, with the ability to program the output voltage between 1V and 10V. The devices use a current-mode-control architecture and can be operated in the pulse-width modulation (PWM) or pulse-frequency modulation (PFM) control schemes. PWM operation provides constant frequency operation at all loads, and is useful in applications sensitive to switching frequency. PFM operation disables negative inductor current and additionally skips pulses at light loads for high-efficiency operation. The low-resistance, on-chip MOSFETs ensure high efficiency at full load and simplify the layout. The 20-pin, 5mm × 5mm MAX17242 and MAX17243 devices are supported by corresponding evaluation kits, also available from Mouser. The MAX17242EVKIT evaluation kit operates over a wide input voltage range of 3.5V to 36V with an output set at 3.3V at 2A. The MAX172423VKIT evaluation kit operates over an input voltage range of 5.6V to 36V range with an output set at 5V at 3A. To learn more about the MAX17242 and MAX17243 converters and evaluation kits, visit http://www.mouser.com/new/maxim-integrated/maxim-max17242-max17243/.